Is it very hot in Turkey? Weather in Istanbul, Cappadocia and Ephesus Main travel season is approaching, travelers are getting prepared to be out and on the way. 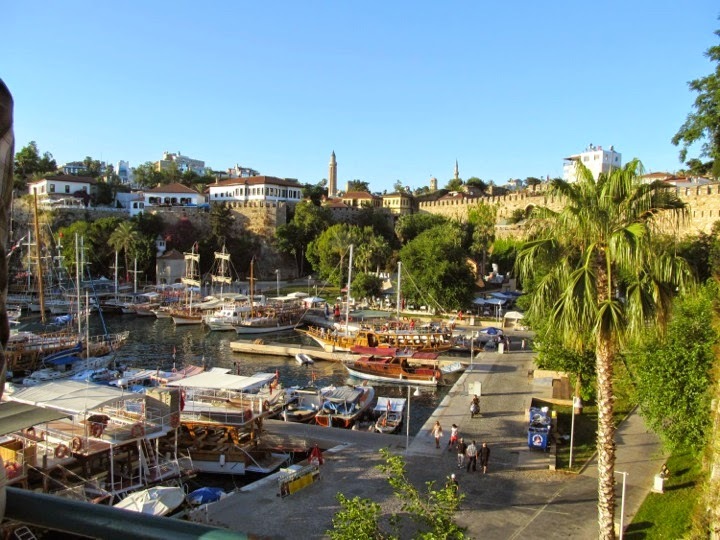 Many wonder what the weather is like in Turkey for sake of packing smartly. There is a misconception about climate of Turkey. Honestly, if it was me looking at a map of Turkey and seeing it side by side with the Middle East I would also think that it is very hot and desert like. The fact is different. Turkey is large with many topographic diversities, this causes different climate zones. The country is like a gigantic peninsula with seas surrounding on three sides where it is mostly sea level. 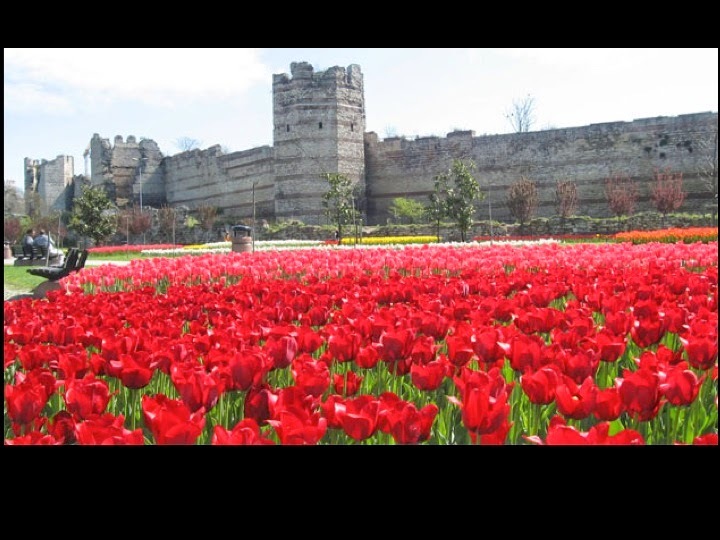 Eastern Turkey is significantly different with high rocky mountains and average elevation is about 6,000 feet. Central part of Turkey is a higher plateau that is about 3,000 feet. Here I want to concentrate on the top three destinations: Istanbul, Cappadocia and Ephesus. Easiest way may be comparing climate zone maps of Turkey and USA. Below are most common USA and Turkey Köppen–Geiger climate classification maps. 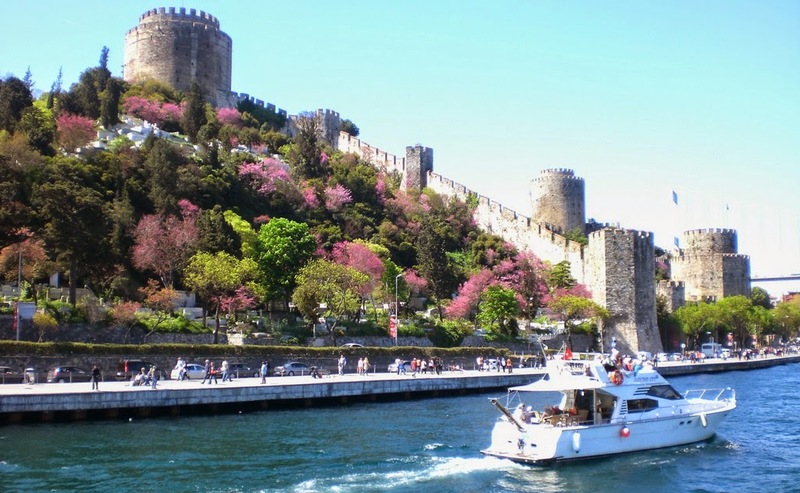 Istanbul’s weather is not Mediterranean or Middle Eastern, city takes weather from the Black Sea. When you look at Seattle and Istanbul on maps below, you will notice that they are slightly different shades of same green color. Technical name of Istanbul’s green is “Humid Subtropical” and Seattle’s is “Oceanic”. Shortly, they are similar to one another. Practically, in the last few years Istanbul feels slightly colder than Seattle is, or maybe it is Seattle is getting warmer! Nowadays, we seem to have colder and more snowy days in the winter. Year around precipitation is close, yet clear days in Istanbul are more. Rain pattern is different, instead of drizzling for a long time, it rains really heavy for a couple of days in Istanbul and than clears out. I love to quote from the Byzantine historian / chronicler Prokopius. He complains about weather of the city, he says it is drizzly and overcast all the time! This tells us that Istanbul had exactly the same climate pattern of Seattle 1,500 years ago. November particularly turned out to be consistently very good to travel for the past few years, days are long enough and temperature is comfortable. century, it is on the Bosphorus. 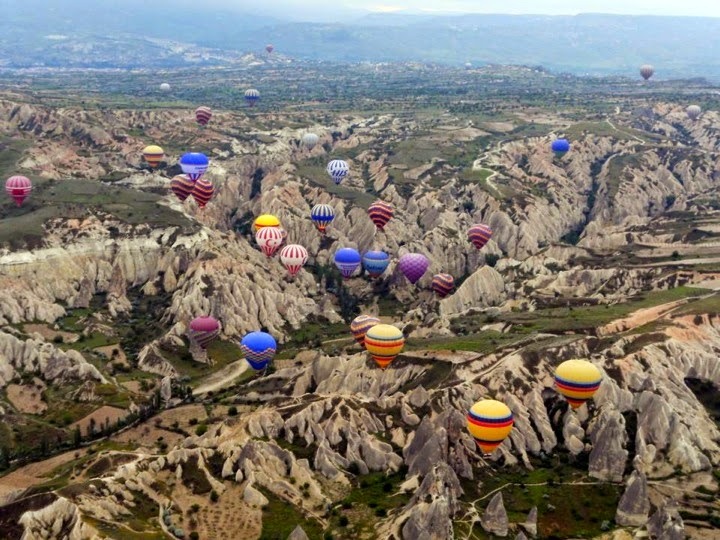 Cappadocia is near the center of Turkey. In the map it spreads over pink like Eastern Washington, and pale yellow. Pink is “Humid Continental” and yellow is “Semi-arid climate”. Cappadocia’s climate is a morph between the two. Topography is harsh and volcanic. Summers are hot and dry, winters are cold with snow. It is sort of like the Rockies in USA. Because of high elevation, day and night temperatures are very different. Similar to Eastern Washington, it is a grape growing region. 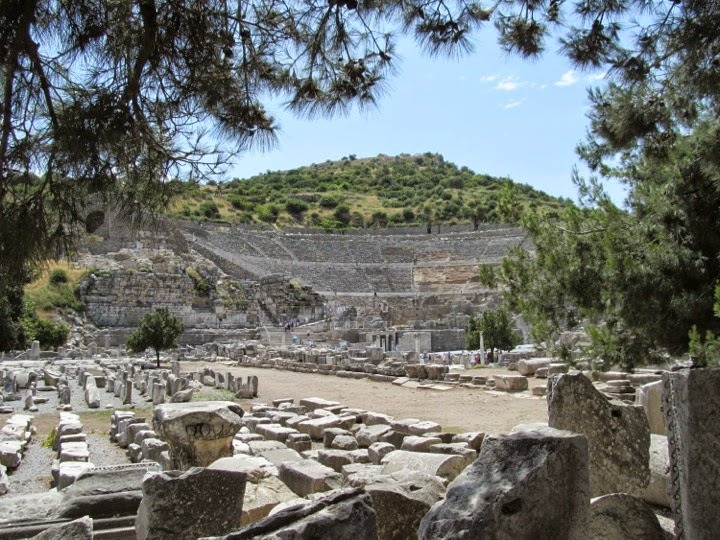 Ephesus is on the Aegean Sea which is an extension of the Mediterranean. Map indicates this part of Turkey in bright yellow, this area is called the “Hot-summer Mediterranean” climate and that is what it feels like. Topography and vegetation is like northern California or Tuscany. Very fertile and lush. Hot in the summer and tepid during the winter. One can count on sun most days of the year. where St. Paul wanted to preach Christianty. Mid day may feel warmer than average. Wind chill is common in winter, especially on and near Bosphorus. Under the sun, mid day may feel warmer than the forecasted temperature and colder in the shade. Ephesus is white marble almost overall. Sun reflects back and always is warmer than reported temperature unless it is a cloudy day. There is little shade in the ancient city. Knowing all the above, packing is all about picking appropriate layers. There is no dress code in Turkey except for visiting a mosque when all visitors are expected to cover knees and shoulders, women are also expected to cover their hair. 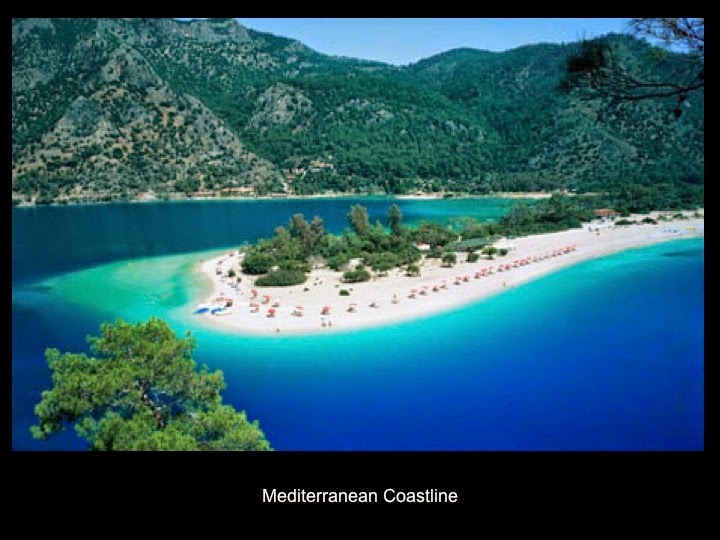 Scroll down for miscellenaus photos from Turkey’s different regions showing vegetation. 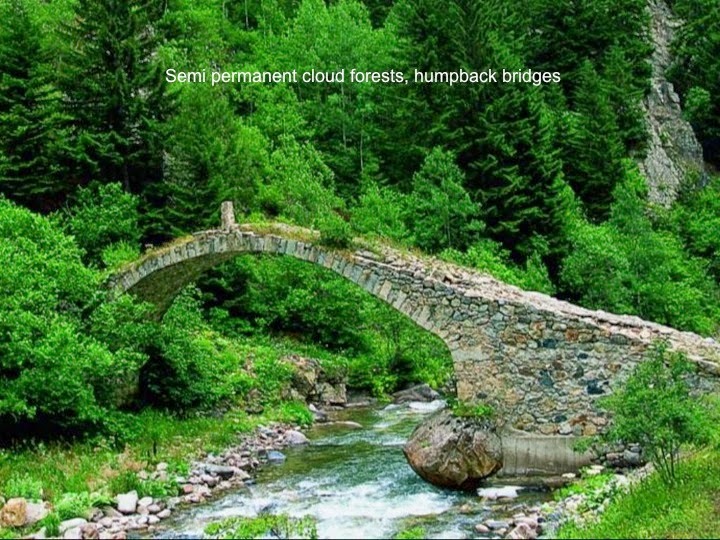 typical Ottoman hump back bridge over a river. famous with turquoise color of the sea. Main coastal city on the Mediterranean, Antalya. several days. It was the coldest and most snowy winter since 1997.